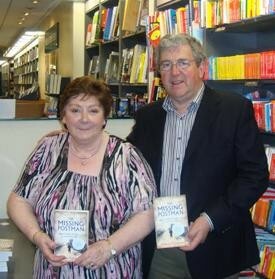 Marie Finnerty from Ballinrobe and Seamus Mulrennan from Ballyhaunis, grand-children of Larry Griffin are pictured at the launch of 'The Missing Postman' book in Dublin recently. 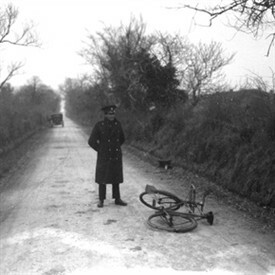 A Garda is pictured with Larry Griffin's bicycle on the road outside Stradbally, Co Waterford shortly after the postman disappeared on Christmas Day 1929. On Christmas Day 1929, a postman called Larry Griffin, disappeared in Stradbally, Co Waterford after doing his rounds. He was never seen again. His body was never found. His abandoned bicycle on a deserted country road was the only trace left behind. 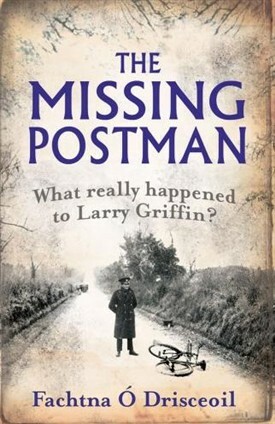 Larry Griffin became The Missing Postman. For 81 years and counting, the story of his disappearance has been an enigma, wrapped in a riddle, surrounded by mystery. It divided a small rural community, cost numerous media outlets hefty sums in libel awards when they covered the story, and sparked a litany of rumours about conspiracies and cover-ups that continues to this day. A wife lost a husband. Children lost a father. Lives were broken beyond repair. Larry Griffin was my great-grandfather. So in recent months, as the countdown continued to the launch of a book about his disappearance by Fachtna Ó Drisceoil, the story of The Missing Postman has been retold again and again by Larry’s relatives in Ballinrobe and Ballyhaunis. How he vanished into thin air from a public house on that fateful Christmas Day; how ten people, including two gardaí, a school headmaster and the local publican, were subsequently charged with his murder; and how the case against them collapsed in court when the State’s only witness refused to stand by his earlier statement implicating the accused. The story went around the world at the time, featuring on newspaper from pages across Europe and in the USA. Stradbally was labelled ‘the silent village’ and achieved notoriety as it closed ranks in the face of an exhaustive search and investigation into Larry Griffin’s disappearance. There were, and still are, so many questions and very few answers. Fachtna Ó Drisceoil has dedicated the last few years to investigating the story of The Missing Postman; first for a TV programme and then for this book, which has become the second-best-selling paperback non-fiction book in the country in a matter of days. It has been crafted from evidence that was locked away in Garda files for 80 years but, now released, lifts the lid on an incredibly complex culture of lies, conspiracy and intimidation that prevented justice being done. Seamus Mulrennan from Ballyhaunis, Larry Griffin’s grandson, spoke eloquently and poignantly at the book’s launch in Dublin recently. “Growing up it was not a topic that was ever discussed in our household,” he explained. “We knew very little of the details surrounding the disappearance of our grandfather”. It was as if my mother couldn’t handle the awful grief and loss of how her father died and the fact his body was never recovered. That she was in England when it happened added to her sorrow, “I want to pay tribute to my grandmother” he added. “She was a wonderful woman who never gave up hope that before she died someone would let her know where Larry’s body had been dumped”. She was left penniless after his disappearance, as it took years to have him declared dead. A family friend now in her 90s still remembers how she accompanied my grandmother to where the remains of a body had been discovered. It still haunts her to this day to see Grandmother down on her knees going through the items of clothing, bones, etc and praying for it to be her husband. Sadly, it wasn‘t. It is incredible to think that, all these years later nobody has come forward with information that would allow Larry Griffin’s family let his soul rest in peace. 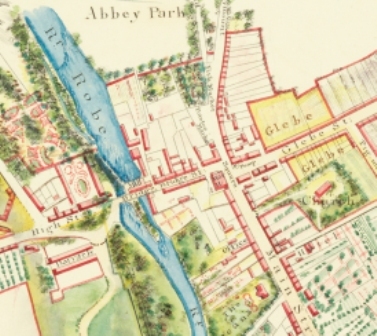 Secrets have been brought to the grave and, even during the course of his research around Stradbally, the book’s author was often met with stony silence and wary glances when the subject of The Missing Postman was raised. Thankfully, he persisted and, along with the decision of ex-Garda Commissioner Fachtna Murphy to finally release the Garda files on the case in 2009, a more accurate picture of the events of December 25, 1929, has been painted. “Today is a great day with the publication of this detailed factual account of the case that has rumbled through the decades of the 20th century,” said Seamus Mulrennan earlier this month. “Now we have a detailed account of what happened on that December night. All that is missing is one piece of the jigsaw - The Missing Postman — What Really Happened To Larry Griffin?’ by Fachtna Ó Drisceoil is now on sale. I realise all involved are long departed this world and with them the knowledge of where Larry’s body rests. However, on the very slim chance that anyone knows anything, please let us know or contact someone anonymously. It would be wonderful to have closure on this matter. His name is on the family headstone, it would be great to see him rest beside his dear wife Mary and family. This page was added by Averil Staunton on 31/05/2011.